Category: Other. Tags: 925 sterling silver pendant, april birth stone pendant, april birthstone jewelry, april necklace, april stone pendant, aries birthstone, aries necklace, birthstone pendants for mothers, birthstone pendants for women, boho pendants sterling silver, boho pendants stone, bridesmaid gift, christmas gifts, diamond round necklace, diamond white pendant, fine jewelry, flower pendant, flower pendant women, gift for sister, glass pendants for women, oversized pendants, round pendant, silver necklace, statement pendants for women, sterling white pendants, stylish pendants, white pendants for women, white silver, white sterling necklace, white sterling silver. Flowers in winter are so fragile, but we can save them by putting into Bohemian glass, where they will be frozen for forever! Icy flowers from Icy Flower Splash Collection (W18) will never fade! 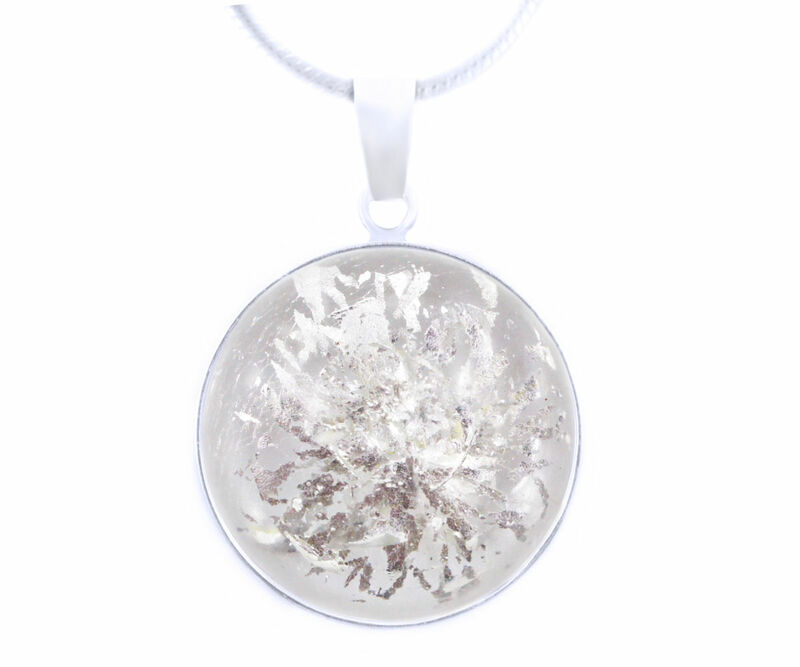 Icy Flower Splash Collection – each frozen 925 silver flower has unique design, there are no similar stones. Each icy flower is made by hand from 925 silver foil and put inside crystal Bohemian glass rode (choose your color!). From the beginning to the end each stone from Icy Flower Splash Collection is made using old lampwork technique which makes it unique and made only for you!